Menopause can wreak havoc on your psyche. Initially, you may have trouble sleeping and find yourself feeling unusually tired, moody or irritable. You may also have difficulty concentrating and suffer from memory lapses. The drop in estrogen can also lead to hot flashes that disturb sleep. This can cause anxiety, fears and mood swings. If you’re having some minor memory problems and difficulty concentrating, this can be a normal part of menopause. Medical providers don’t understand why this happens, and there are currently no treatments available to improve your concentration and memory. Regardless, if you are having memory problems, talk to your doctor or provider. He or she can help explain this further and rule out anything more serious. You may be able to alleviate some of the mental health symptoms associated with menopause by eating well and exercising regularly. “Diet and exercise play an important role in overall mental health,” Ms. Hagan says. 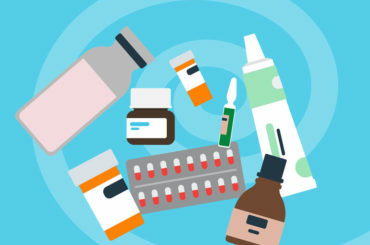 Other things that might help include staying actively involved in life, engaging in a creative outlet or hobby, seeking emotional support from friends, staying connected with your family and taking vitamins and minerals as prescribed. You may also find symptom relief by avoiding triggers of anxiety or depression such as caffeine, alcohol and cigarettes. “Limiting alcohol and hot, spicy foods can also help with hot flashes,” says Ms. Hagan. Activities that stimulate the brain (crossword puzzles, reading) can help rejuvenate memory. Make sure to minimize passive activities, such as watching TV. “If your anxiety and/or depression become so severe that everyday life is disrupted and your ability to accomplish routine daily activities is impaired, you should seek professional help,” Ms. Hagan says. More specific reasons to seek help include having suicidal thoughts or feelings, having negative feelings that persist for a long time or not having anyone with whom you can share your thoughts and feelings. Although your first step should be a visit to your Ob/Gyn provider, additional resources are available to help you through the menopausal period. 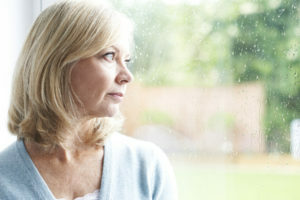 While there is growing evidence suggesting that hormone therapy can relieve emotional symptoms of menopause, hormone therapy alone is not effective in treating more severe depression. Drug therapy and/or psychotherapy may be necessary.